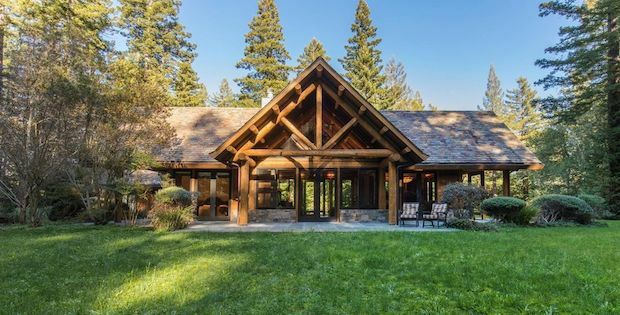 To get the most important thing out of the way — this property has a $3.1M price tag. 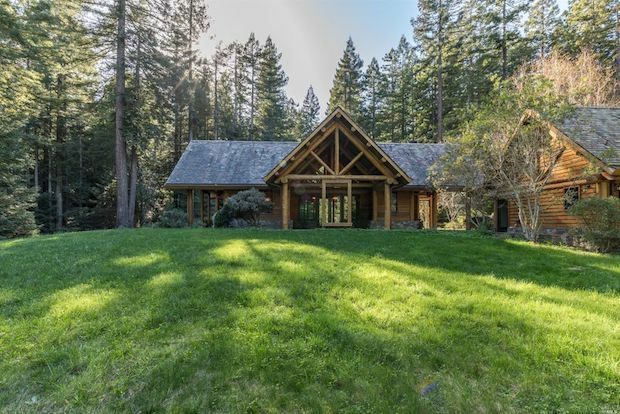 This home is Sebastopol is relatively small, at 1,301 square feet with only 1 bedroom. However, it’s sitting on 2 parcels of land that totals to 42.79 acres. 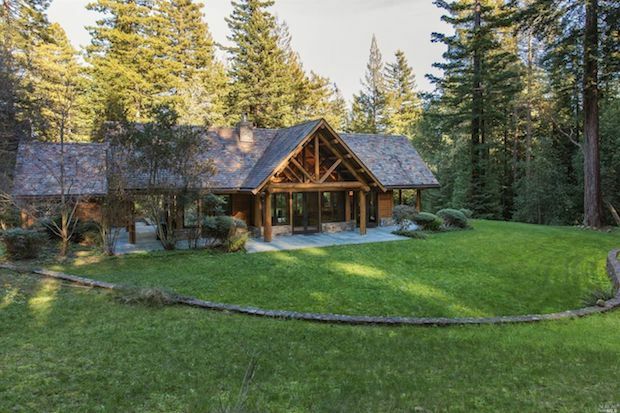 Lovely meadows, two creeks, and proud majestic California redwoods are a part of the acreage. There’s also lots of space with the promise of seclusion… or probably more space to build more cabins in your Sebastopol estate. Hefty price, notwithstanding… it’s a beauty, right? 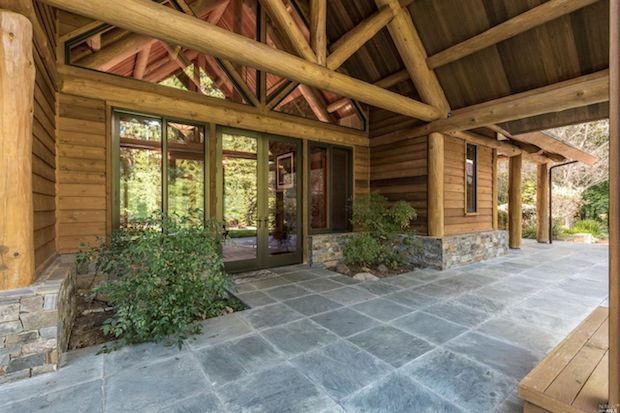 The front entry shows that while the house looks like it’s built of logs, these logs are a frame for carefully cut planks, and an artistic stone base. 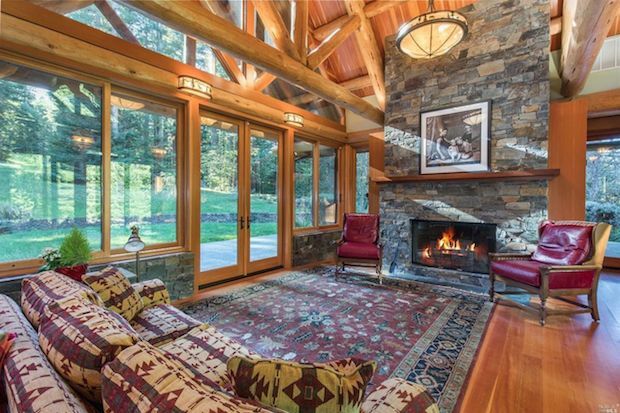 Carrying on with the lodge feeling, this sizable living room has an entire wall of custom windows with French doors that open to the woods beyond. The fireplace is the same stone that surrounds the base of the home, keeping the style consistent throughout. HEAD TO THE 2ND PAGE FOR MORE PHOTOS….